In Arugam Bay there is a government and a private clinic (3 and 4 on the map below). 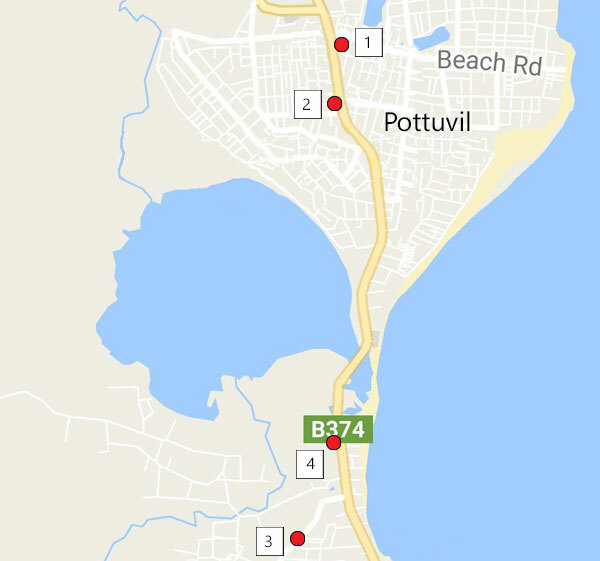 In Pottuvil there is a private clinic (2) and a public hospital (1). If you go to the government clinic expect to be given preferential treatment and be treated before the queue of sick locals. This is done so that you will feel pressured into offering a bigger donation. Here is a map of medical facilities in the local area. There is a pharmacy directly opposite the private clinic in Pottuvil (2). Private Clinic – 24 hours on call – See Heath Aid Arugambay for more info. All government hospitals and clinics have no formal way to charge for services given in Sri Lanka. The doctor or administrator will likely request that you offer a “donation” and, if asked, will tell you what would be a “fair” donation. 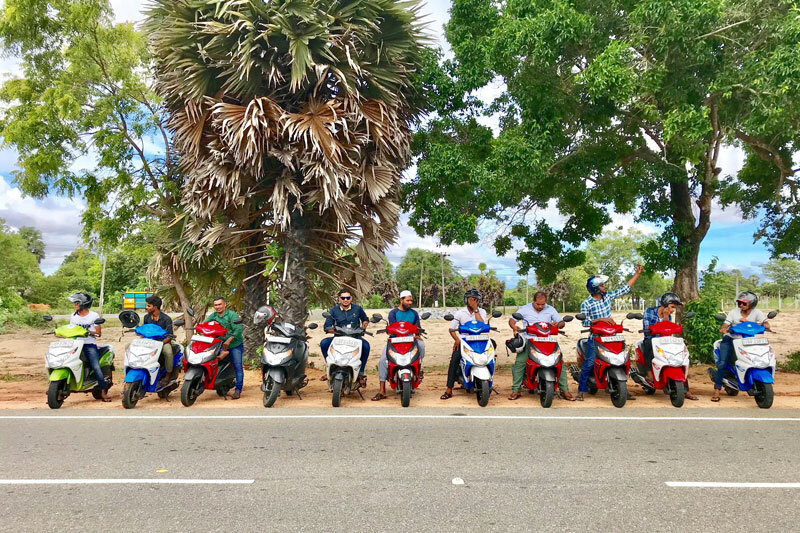 This will be in the region of 2000LKR for a quick 15 minutes with the doctor and a prescription of antibiotics and painkillers. Maybe a better option would be to buy something that the clinic needs which at least means that you know the money will be well spent. If you go private they will give you a bill which will be about 3 or 4 times the price a local would pay. It will still only be in the region of 2000LKR for a standard appointment but at least you will receive a receipt for any insurance claim. You will receive all medication in small white paper bags with no information on what you have been prescribed, so it is a good idea to ask the doctor what each one is so that you can write it down on each bag. Expect a surprised reaction as it is not common to question a doctor in Sri Lanka or ask what and why you are being prescribed something.